Count the cash that’s in your wallet & write down the amount. Look at the balance in your checking account and write it down. Look at the balance (the amount you owe) on your credit card and write it down. Did you do those 3 things? And I mean did you actually look at your cash, your checking account and your credit card – as opposed to just taking a mental guess as to what’s in there? If not, THAT’s why you’re not wealthy. (If you did do these 3 steps, good for you! You’re ready to skip to Phase Two: 4 Baby Steps for Spiritual Money Manifestation). Another version of The Money Wound™ has nothing to do with bad money management. Rather, it’s what you’re suffering from when you have strong mixed emotions about money itself. Click here to read Lisa’s story, The Evil Corporate Giant. If you didn’t do the 3 steps, it means there’s something about your money you’re unwilling to look at. And as long as you’re unwilling to look honestly at your money, you will always be the victim of your financial circumstances, not the master of them. But maybe you didn’t realize this was an interactive article. Now that I’ve set you straight, here’s your second chance: go count your money & write down what you find. Did you do it this time? And did you not just look at your money, but also write down what you found? That’s significant as well. When we won’t write something down – commit it to paper – it is a subtle sign from our unconscious that we aren’t ready to change it yet. So if you want to change your money story – be sure that you wrote down the three amounts! Ah yes – that raises another issue, namely the obstacles you create so that you don’t have to get honest about your money. We’ll get to those in just a moment. One big reason you might not want to look honestly at your money is that there isn’t enough of it! You may have less money in your checking account or wallet than you’d like; or the balance on your credit card is higher than you wish it was. I understand. It can be depressing or even scary to confront the realities of your financial situation when you have less cash and/or more debt than you’d like. So much so, that you might even be suffering from what I call The Money Wound™. This is a condition in which your negative feelings about money – or your doubts and fears about successfully managing your money – are actually causing your financial problems (or at least making them worse). If this is you, you’ll never feel financially secure until you heal your Money Wound. Another thing you might not want to look at is your expenses themselves. These may include hefty fees and penalties for bouncing checks; or an emotionally-motivated spending spree that got out of hand. 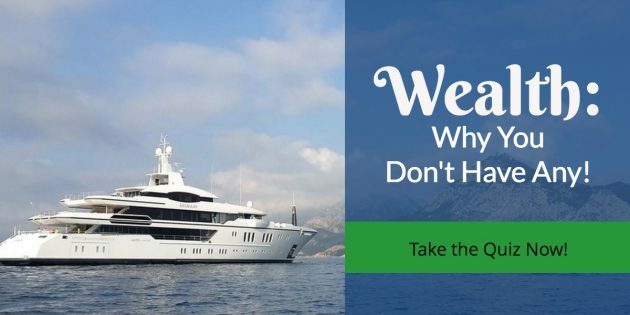 Many of my clients have shared with me the intense shame they feel about their spending habits – some of which feel unconscious and out of their control. Are any of those the reason that you didn’t do so well on the quiz? You might also be saying, “Julia I’m willing to look at my money; I just can’t do it right now.” That’s the only reason I didn’t complete your quiz. Ah, yes – that brings us to the obstacles that some people create, in order to not have to get honest with their money. Are any of those true for you? And if any of those are true, then you are indeed suffering from The Money Wound™. 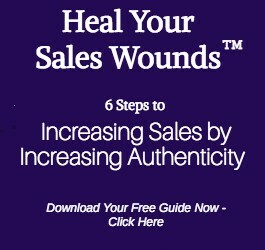 To learn more – and to begin to heal your Money Wound™ – click here.